Sea buckthorn is tremendous. It has just about every nutrient the body needs! Vitamins, flavonoids, minerals, phytonutrients, antioxidants, you name it! One of the most important, and unique, components of sea buckthorn is its impressive array of every essential fatty acid. It contains Omega 3, 6, and 9, as well as the rare Omega-7 which help tremendously with inflammation response. When combined, sea buckthorn offers a synergistic health blast to the body fortifying and beautifying from the inside-out. Unfortunately, sea buckthorn juice doesn’t maintain this impressive essential fatty acid profile. If it did, the juice would be quite oily! The truth is sea buckthorn juice loses many of its nutrients when its manufactured. Since sea buckthorn is so acidic, the berries are crushed, heavily diluted with water (often 5:1 or more), and sweetened with other juices or sweetening agents. A product can claim to be 100% sea buckthorn juice if its only other ingredient is water. Hence … the juice can be mostly water with little to no juice and still claim 100% purity. Sea buckthorn oil on the other hand, is extracted from the sea buckthorn berry. It’s in a much more concentrated form which contains all the nutrients and especially the essential fatty acids that sea buckthorn berry can offer. These essential fatty acids aid the body’s natural inflammation response. 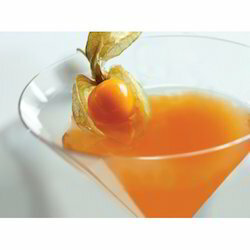 Looking for Seabuckthorn Juice ?